So, you’re just getting started as an investor, and you are looking for some helpful real estate tips. I know. There is a LOT of information out there. I am going to try to keep it simple for you. The good thing is that real estate investing is a whole lot easier than the alternative investment options, and the returns usually come much faster. This is why it is my life’s passion. You seriously cannot get me to shut up about real estate investing. I truly believe that you are going to fall in love with real estate. 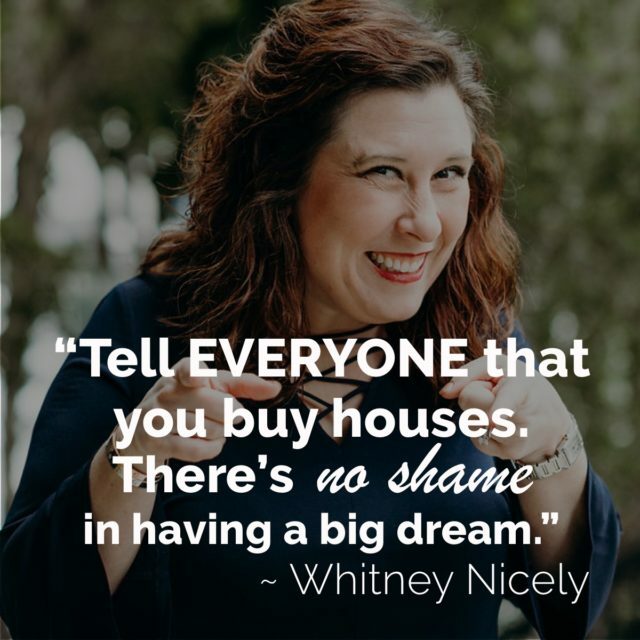 If you commit to giving it your all, and consistently putting to practice what I teach you, including these real estate tips, your income will continually grow. Here are a selection of my top real estate tips to get you on your way to investing success. Grab a cup of coffee/tea/drink of choice, your notebook and a pen, and get ready to jot some notes to get you moving on your new adventure. If you are going to really start finding solid leads and properties to invest in, you have to start talking to people. Talk to people while you’re walking your kids to school. Start a conversation with the crosswalk lady. Don’t be shy. Tell everyone you know that you want to buy houses. Spread the word! When I was first getting started, I made the mistake of letting someone at a training conference handle one of my hot leads for me. By the time I got home from that conference, the lead had run cold. Don’t ever do this. Protect your leads and take care of them yourself. If it’s going to crumble, I want to be the one to make it happen, then at least I can learn from the experience. I know it can feel a little scary to step out of the norms, but if you are really going to have the greatest chance for success as an investor, you need to get comfortable with creative financing options. You don’t always have to get a mortgage in order to being your investing adventures (this is precisely why I focus my teaching on this exact strategy with my students). Get to know your other options, too. I know that land is not often focused on as a property for investing, but I made my first consistent passive income through renting out land. Don’t overlook unusual options like this if you find them. Check out what might be possible in your area and consider all options. Don’t get yourself too locked into one property type, especially when you’re first getting started, if your area provides others that are more possible and realistic. It might be tempting to just jump in and wing it as an investor, but truly you want to have some kind of plan and strategy when you get into real estate investing. You need to know your goals, how you are going to go about achieving them, and what kinds of methods you will be using to manage the pieces as you do the work. Though a simple article about real estate tips may plant some seeds of greatness, you have gotta start investing in yourself even more. Start buying books by successful real estate investors. Study those who have gone before to learn the best practices and lessons they’ve learned through experience. Learn from those who have gone before and start further ahead through the lessons they share. Though it is great to simply study those who are already successful investors, it is even better to learn from them as a mentor. Yes, it will cost a larger chunk of change, but the return on investment will pay itself in incredible multiples. I have consistently found that I make about 10-20X my monetary investment when I invest in a mentor. If you are truly serious, don’t skimp on this vital piece of the puzzle. Start driving around your area and taking note of what properties you find that are likely vacant. Take note of how many properties are simply in your neck of the woods. So many people think opportunity is slim today, but truly you’ll be surprised by just how much opportunity is out there. Be willing to do the work to find the properties to make the deals. End of story. You can research and talk all day long, but until you get out there and start doing the steps, your income will never change. #10 You DON’T Need a Real Estate Agent’s License! Think about it. A real estate agent’s fee is 6% split between the selling agent and the buying agent. If you do both sides of the transaction, that is a maximum of 6%. You will make far more money working with sellers on a one-on-one basis than you will running deals as an agent. If there’s a 25% profit opportunity, you will receive all of it. Leave the license with the agents. 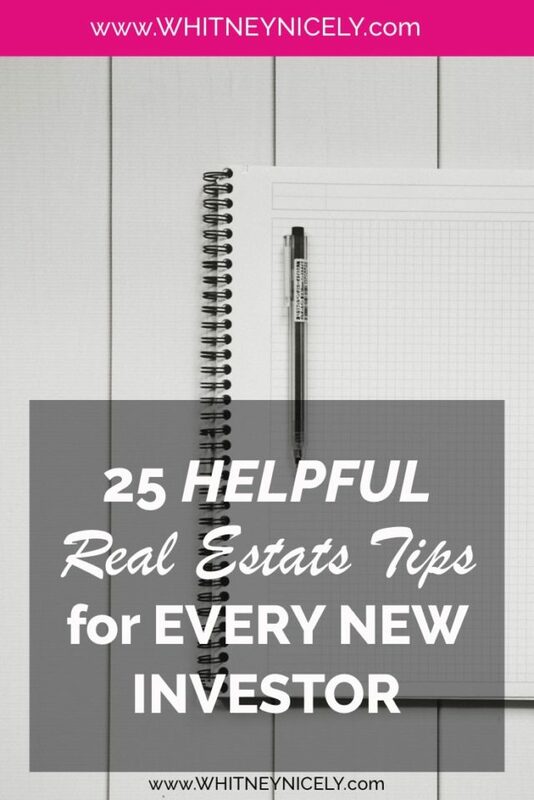 You may have begun gathering real estate tips and instruction through free resources. But, I want you to up your game. Start watching the “for pay” videos. Join a membership group that has a fee. Be willing to start paying for your education so you can truly start receiving the best training and advice from those in the business. Take the next step. Well, we’ve already talked about driving for dollars, but now you need to add in dialing for dollars. Eventually as you start collecting property information and leads, you will need to pick up the phone and start getting in touch with potential sellers. Find out from your local city or county what houses are vacant and give them a call. Don’t be surprised if you have to do some digging. It’s not uncommon for it to be fairly tricky to get in touch with our ideal sellers. Dig in and don’t give up. No, I don’t want you to go buy fancy postcards in bulk. I just want you to grab some paper and jot a quick note down that you are interested in buying the property from your seller. Make it short, sweet, and to the point and then send that gold mine out! I cannot overstate the simplicity of this step, and the return on such a minimal investment you will get. I teach all about this step in my premier course because I have seen so many people have incredible success with it. You’re likely already wasting hours a day on there, so why not use Facebook to your advantage. Share what you’re doing and what you want to accomplish, and get your friends and family talking. It’s amazing how many leads come from some simple posts, so be ready to take down numbers and contact info. Craigslist is another excellent place to advertise that you buy houses. Don’t discount it, either. I know it might seem like you can avoid it forever, but seriously, you have to just get out and talk to sellers. You have likely found some great leads, and maybe even already talked with them, but this is a crucial real estate tip. You have to do the work and open your mouth. This is how we solidify the deals and secure the contracts. Once you get over your fear and simply start talking you’ll realize there’s nothing to be afraid of. They’re just people like you and me, and you are in a position to help them out of their bind. Don’t forget it. You’re here to help. Once you have your contract all situated, tell everyone! You know how beneficial Facebook is, but multiply that helpfulness when you have a “win” in your post. Everyone wants to be able to recommend someone they truly believe in, so the more you show you know what you’re doing, the more likely your friends and family will recommend you to others. Advertise your success on Facebook to show everyone you are serious about buying houses and growing as an investor. Now that you have some options for potential property leads, you may want to start thinking about what kind of rent to charge on the property. This is where the 1% rule comes into play. The rule is that you should be able to charge 1% of the total house amount to be paid as a monthly rent (2). For instance, let’s say that your seller and you agree that you will eventually buy the house from them for $130,000. This means that the monthly rent that you need to be able to charge on the property will be $1,300. If you are doing a lease option with the seller, maybe you pay them $850 each month towards their mortgage, and then you rent out the property for $1,300 a month. That means your profit each month will be $450. Got it? We’ve already covered the importance of staying up on maintenance issues. But, there’s always the matter of paying for the problem. The general rule of thumb, though, is to set aside about 50% of the monthly rent (3). So, a $1000 rental unit will generally run about $500 in annual repair costs. There are some other ways to calculate the costs, but they range very little from this number, give or take 10%. I know you may have gotten into this market because you have financial goals and wanted to make money, but be a person first. Treat your renters like they matter. Listen to them and help where you can. Be fair and reasonable. Hold the line where needed, but ultimately treat them well. Be a good person, and you will be rewarded. No one likes working with someone they dislike. All in all, if you are truly serious about your investment goals, real estate tips alone will not do you any good. You have to treat this like a business. Don’t get lazy or complacent. Make sure you keep receipts, track your purchases, know your numbers, and do the work. Treat your new adventure like a business and your financial future will be amazing. Ready for More than Just Real Estate Tips? If you are ready to really start learning how to be a successful real estate investor, then I want to teach you everything I know. I mentioned a few times that I teach a lot of these tips in my premier course, but you will have to check it out for yourself. First Deal Done Fast is completely self-paced and jam-packed with loads of actionable steps to get you moving right away. If you are really, truly serious get started now. Don’t wait. Just don’t do it. You’re leaving money on the table, and you’re worth more than that. I know you can do this. I’ve seen so many fearful people too afraid to just jump in, but then they blast through their fears and start closing five-figure deals in weeks! You’re worth it. If you want to change your life you have to do things differently, and I want to help you. So, get started. Don’t wait. I know it might be a little intimidating getting started with something new. But, if you’re committed to learning and growing through the discomfort, you will achieve amazing things. Study, learn, and then DO. Then, tell me all about your successes when you achieve them! I can’t wait to hear all about it. What is one tip that has helped you as a real estate investor? Leave a comment below and share your tip!